A friend of ours posted an embroidery design created by Jody Rice on Facebook today. We liked the design so we thought we would follow up on her other creations. The Los Angeles-based artist has worked as a costume designer, graphic designer and craft designer for 15 years. She felt there wasn’t enough contemporary cross stitch pattern so she created her own designs and opened her very successful shop on Etsy called Satsuma Street. 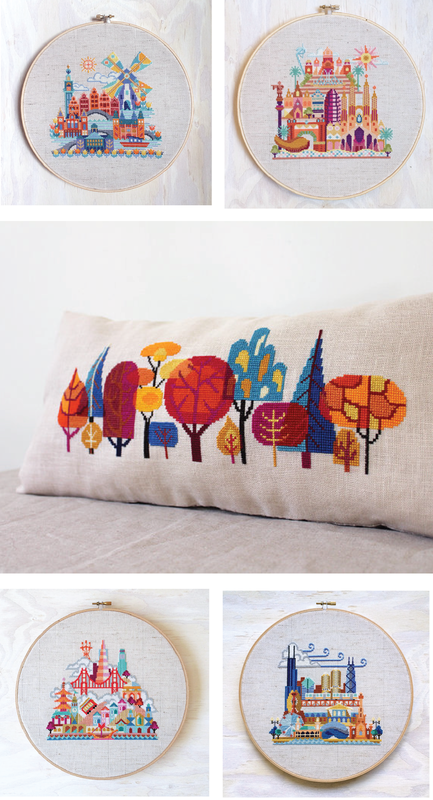 She has created a popular series called, Pretty Little City, but our favorite pattern is the ’row of trees’ pillow. Images: Courtesy of Satsuma Street.